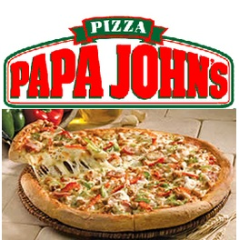 More pizza deals at Papa Johns! Get 1/2 off your entire order of regular priced menu items when you use the coupon code MLB100. Don’t forget, you can still use the coupon code TAYLOR50 for 50% off regular priced order. These codes are valid through 8/26. What’s your favorite pizza from Papa Johns?